Following on from the extremely popular standard series, the upgraded "Premium Label" series now feature a 2.4GHz proportional radio system, tough gearing and more than enough power to work with real rocks and sand! Along with the superior scale detailing the Premium Label range look fantastic. 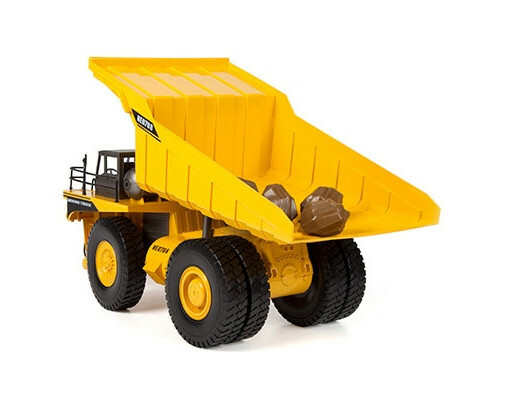 Start your own radio controlled construction site with the range of RC vehicles from Hobby Engine. 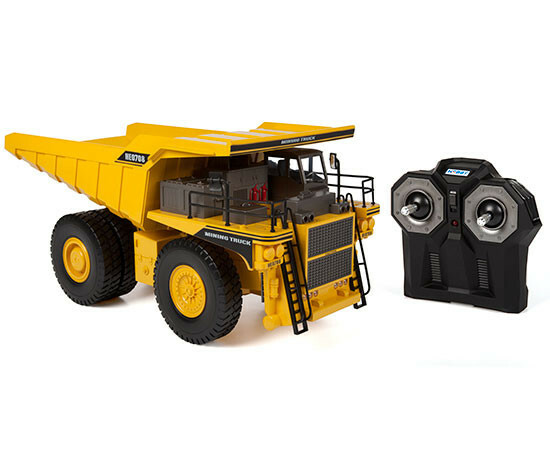 The 2.4GHz transmitter with multi-function controls will put every part of the construction vehicle under your command. Sand and rocks are no problem for these machines. They are made to dig, lift, and carry! 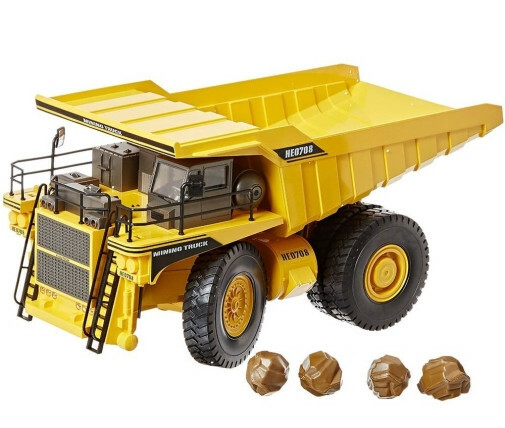 Pick up some vehicles today and make your own backyard into your very own construction site! 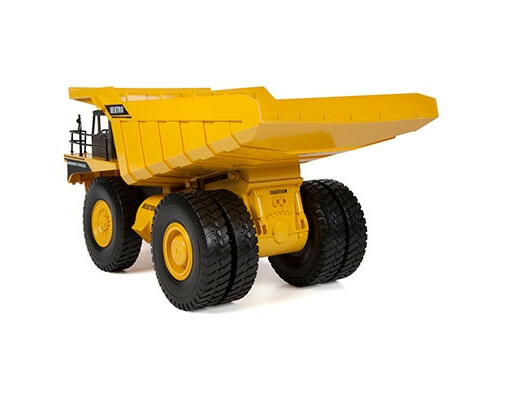 It's hard hat time with Hobby Engine's latest addition to their superb range of highly detailed radio control construction vehicles. 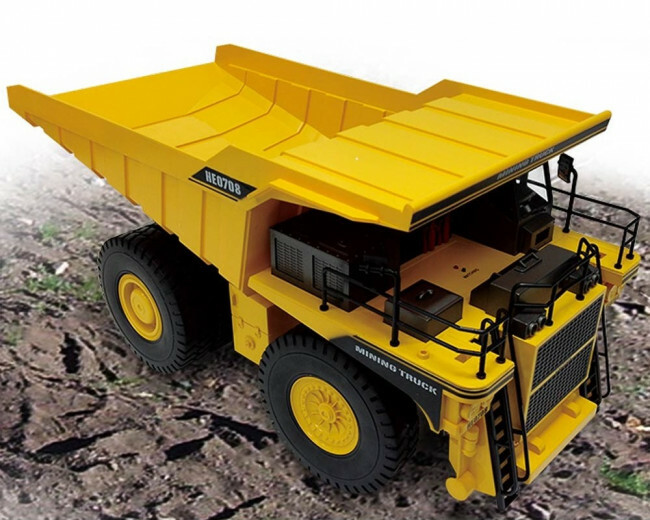 This 1/24th scale mining truck features up to seven functions that can all be operated from the transmitter and that operate and work just like the real thing! Full function 2.4 GHz radio control. Forward, reverse, turning, dumping action, working lights! 4.8v 600mah NiMH battery included. Requires: 6 AA batteries for transmitter. Please note that the Premium Label versions no longer have the "weathered" finish. They now have a high quality plain finish. 6 AA batteries for transmitter.